Vehicle repair and maintenance services tailored for your fleet. Tired of last minute vehicle service issues? Want to reduce productivity losses? 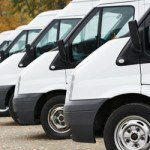 Trying to manage vehicle costs and reporting? Concerned about careless drivers not checking vehicles? Want to reduce your workload for vehicle fleet care? Interested in keeping vehicles longer and reduce long term expenses? We know that time equals money. And for every minute that any of your fleet vehicles is off the road due to unexpected breakdowns, your business is losing money. Staying on top of the maintenance services for your fleet is critically important to ensure your vehicles’ longevity and performance AND that your vehicles stay on the road and out of the repair shop. At Sil’s Auto Centre, we reduce stress and the amount of non-productive time for our fleet clients. The difference between us and other fleet service repair/maintenance providers is simple. We are not a breakdown repair facility, waiting and hoping for you to have a breakdown so we can generate revenue to pay our bills. We are an appointment based maintenance facility, by performing inspections and following strict manufactures maintenance guidelines we truly have a desire to save you time and money! If we can be productive all day long because we are appointment based, performing small ticket maintenance work then we do not want or need large ticket breakdown work which is unplanned, unbudgeted and for our part very unproductive. Breakdown work costs you, our valued client, thousands of dollars and makes us very disorganized and unproductive. When a common automotive service provider waits for breakdown work to show up, they will always over-commit and under-deliver to their clients. We at Sil’s Auto Centre constantly strive to leave you in control of your money and business. We will be the professionals you can trust and count on to maintain and/or repair your vehicles, keeping your units running and generating revenue for your business. 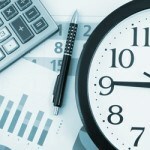 We understand what your time per minute value is as we measure our business in the very same way! We will learn about your stresses due to non-operational vehicles, thoroughly explain our list of services, and mutually understand how we can reduce those stresses by ensuring we’re following a proper service maintenance program for your fleet. Why choose Sil’s Auto Centre for your fleet services? Schedule next appointment (service) every time. Avoiding costly breakdowns and unit down time as well as ensuring your vehicle warranty is never refused due maintenance service intervals performed past allowable kilometers. Perform inspections for safety & maintenance on every vehicle, every time. Track and perform all regular scheduled maintenance required by your manufacturer to ensure validity of your warranty. Consult with our customer on all identified needed repairs which were not performed at time of last visit. This will ensure less costly breakdowns, stressful situations, and more productive work time. Report and consult on all needed repairs. Prioritize needed repairs in order of safety and importance not related to cost. Ensure all maintenance and repairs are pre-scheduled according to your seasonal slow periods. Computer generated work orders invoices. Pick-up and delivery of vehicles. Will provide ride to or from Sil’s Auto Centre. Yearly reports on all expenses to help you forecast and budget expenditures for the forth coming fiscal year. Identifying your services by unit number so you can easily track problem units. Competitive labour rate balanced with the ability to afford the most qualified technicians in the industry. We will source parts for you to achieve the best possible price considering cost, quality and availability. Warranty – One Year or 20,000 KM – commercial. Lifetime on some parts if approved. 3% Pre Tax Rewards program. Get Started with Sil’s Auto Centre! In order for us to start getting to know your fleet services needs and to be able to begin customizing a fleet maintenance services program for your business, please fill out the Fleet Services Information Form below. We will thoroughly review your responses, then we will contact you to begin.